The Italian Lakes, which are famous worldwide, are one of the most beautiful locations for a dream wedding in Italy. Apart from Lake Orta and Lake Garda, especially Lake Como, located in Northern Italy and near Germany and Austria as well as Switzerland, offers stunning wedding venues. The region around the lake is characterized by numerous small villages that are situated right on the waterfront and have this unique Italian flair which is simply magical. Those villages partly consist of romantic villas which can perfectly be used for a civil wedding ceremony. 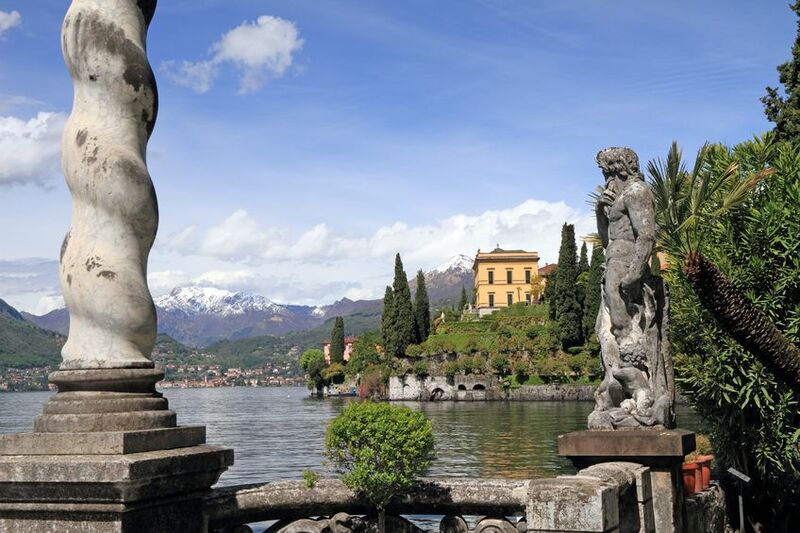 Our portfolio contains a huge number of beautiful, state-owned villas, like for instance Villa Olmo which offers a breathtaking view to the lake. This classical villa, built in the 18th century, is not only a stunning building – with its terrific garden right in front of it, it will certainly make your wedding day unforgettable! However, Villa Olmo is just one of many magnificent wedding venues in the region of the Italian Lakes and our Perfect Wedding Italy team will be happy to help you choosing a location amongst all those beautiful villas that is perfectly aligned with your own, individual ideas and wishes as well as with your available budget and the size of your wedding. Especially for a civil marriage, an Italian villa or an Italian garden would be a great choice. Those civil wedding ceremonies – performed by an Italian Mayor or civil registrar – take around 30 minutes and are legally recognized in your country. Apart from this, a civil wedding allows you to customize the ceremony with own, individual elements such as music, readings, poetry or personal vows. Like this, your civil wedding ceremony in Italy will be absolutely unique and in combination with a luxurious and magnificent Italian villa or a nice and romantic Italian garden, your wedding day will be perfect!